Spring is here, bare legs can come out of hiding (OK so I'm wearing clear tights here but..almost bare legs). 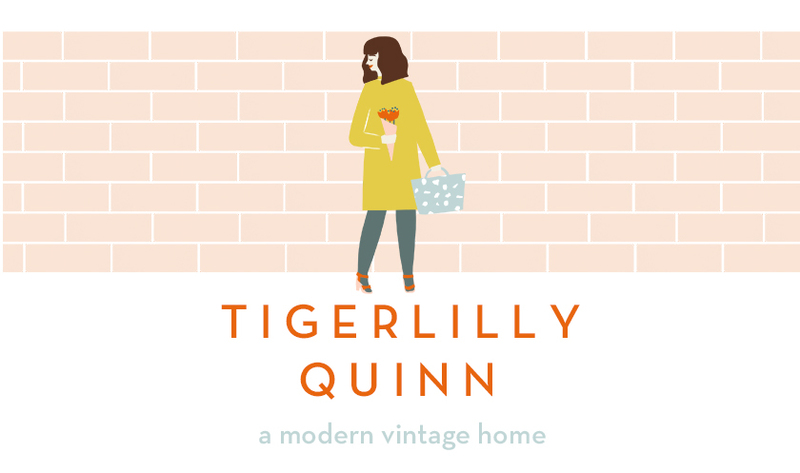 I have to say I'm loving Spring even more this year as last year I spent it with dreadful morning sickness, and most of summer too boo!). One of the things I'm loving the most is changing up my wardrobe. I'm still working out my postpartum body and what works on my new shape. I'm in no rush to get back to my old figure and know it will take time so for now I'm happy to be a bit bumpier here and there. 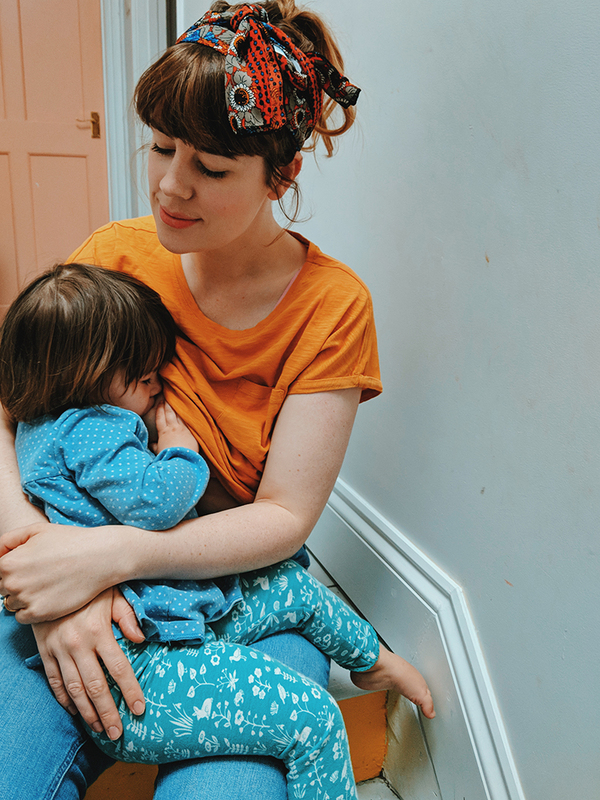 That being said lots of my old wardrobe definitely doesn't work with breastfeeding so there is some limitation there but I'm enjoying the challenge of keeping to my style and being nursing friendly. 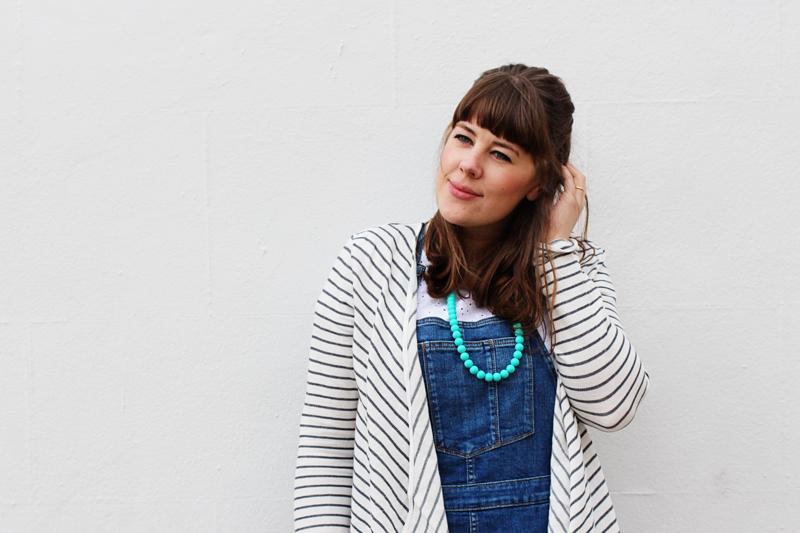 I'm working with Fat Face on this post to style up some of their current pieces and going a bit out of my comfort zone and wearing denim! 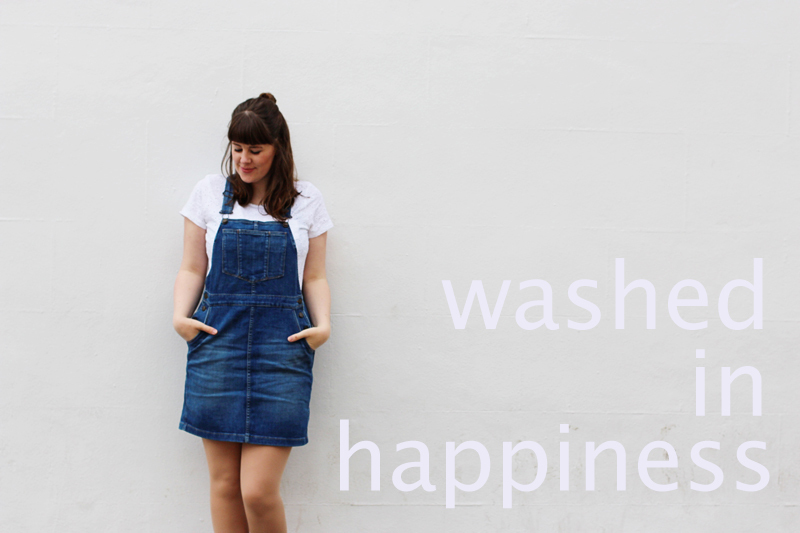 My absolute favourite piece from their range is this dungaree dress, it's so fun and playful and although I own a few dungaree dresses I hadn't tried a denim one before. I'm a convert! 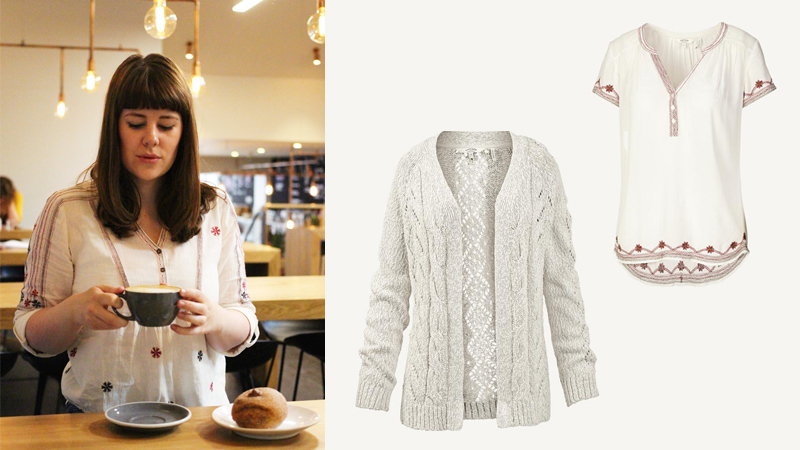 I teamed it with this white top which I think makes the outfit feel even more fresh and spring like and also this cardigan. My boots are from Seven Boot Lane and my necklace from here. 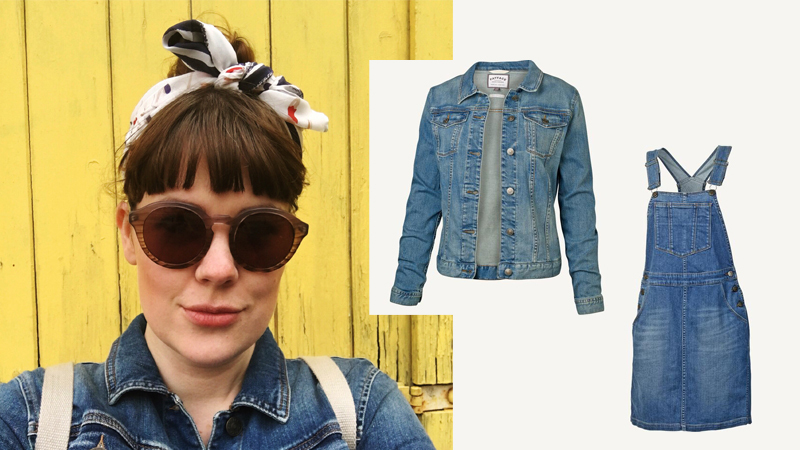 I also tried out this denim jacket which is a look i've not tried to wear since I was about 13! I did initially think I was too old for trends like these but I think paired with a dress it can fit with my colourful style quite well. In case you were wondering sunglasses from here and scarf here. 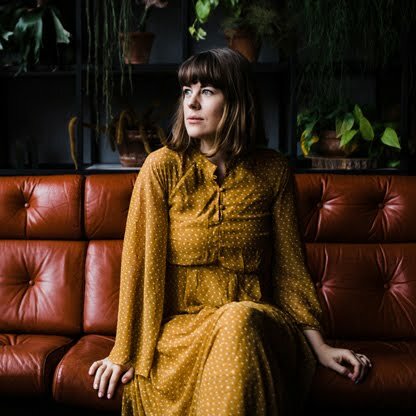 Lastly I love this embroidered blouse, I think it would look great under the dungaree dress, or like my friend Kat has styled it here. I wasn't really sure how much I suited white being that I'm pretty pale but I think the little pop of embroidery add enough detail to not wash me out. Have you been enjoying the Spring weather? Has it made you change up your wardrobe? I'm hesitant to put away my winter items because lets face it, this is the UK but I'm lapping up each sunny day that comes our way!